Probably painted before 1543 when the sitter died. 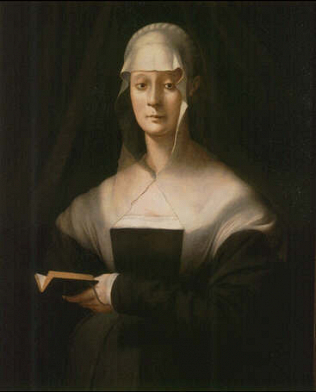 Maria Salviati was the wife of Giovanni dalle Bande Nere and the mother of Cosimo I de\' Medici. At the Uffizi since 1911.